Ladies and gentleman, we present the smoking gun. It’s buried inside a report from 9News, and it’s likely to get presidential wannabe Hillary Clinton into a whole heap of trouble. Platte River Networks turned over more computer equipment Wednesday to the FBI as part of their investigation into Hillary’s email scandal. But, an official with the network said the feds won’t find anything on the company’s hard drive because the emails were deleted every 30 days as requested. Clinton asked not to have cloud backups, according to Platte River. That is not legal. 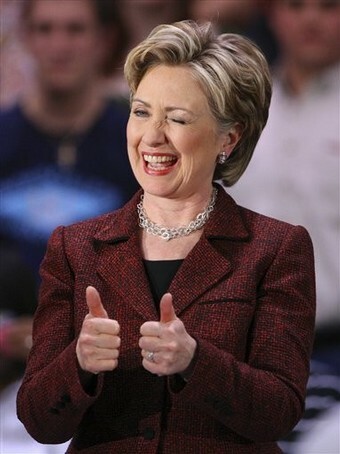 Federal agencies, and that would include the State Department, are supposed to keep extensive records including email on file for years, so why doesn’t Hillary know that? This is a lesson Hillary should have first learned in the White House. But more importantly, this is an important tutorial for voters when deciding whom to elect president next year. We anticipate her new slogan will be: Vote Hillary: She’ll bring transparency back to the White House for 30 days! Clinton is supposed to testify before Congress on those emails later this month. It’s going to be a rude awakening for her to learn the Denver company did in fact store her emails on a cloud.